From animal encounters, trips through the Forbidden Mountains of Everest and journeys to another planet - Disney's Animal Kingdom truly is a new species of theme park. June 1 2014 Festival of the Lion King debuts in its new home, the brand new Harambe Theatre. “The super complex horticulture and landscaping of the park is part of what makes it alive. It isn’t managed to stay the same, but rather to continue to grow and change…to be as real as we can make it be. You would not believe how much work that takes!! 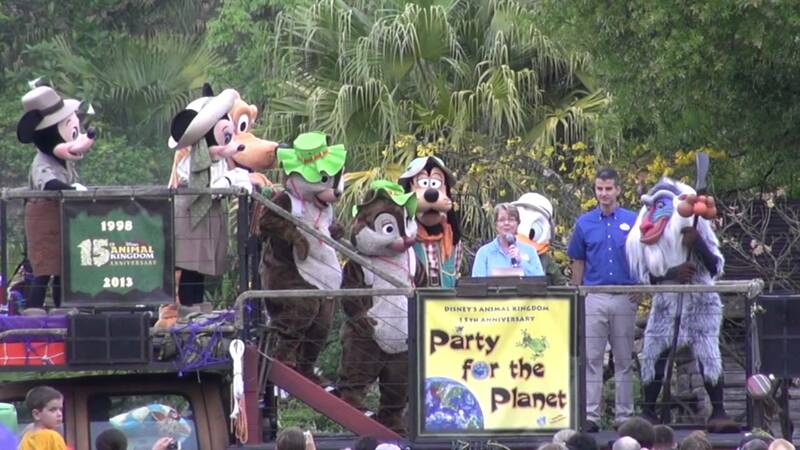 “I have been involved with Disney’s Animal Kingdom since before the grand opening day 1998. From the start I was impressed by the scale of the park – it was especially magical to see four elephants able to disport themselves in a huge pool. How lucky I was to be allowed to climb the scaffolding and look close up at the amazing art work on the Tree of Life. The huge sculpture of David Greybeard, the only named animal on the Tree, was a surprise, sculpted specially for me. The Disney Conservation Fund was established to support conservation efforts in many countries, including educational programs. I am particularly grateful that hundreds of young people in Jane Goodall’s Roots & Shoots have benefited from this fund in eighteen countries around the world. It is so desperately important that the next generations should be better stewards of the natural world than we have been.